What will you do during vacation? and Where will you go to spend your holiday?. Maybe this kind of questions often comes in your mind. So during on holiday, if you have a definite plan to visit Bali island as your decision, certainly you should know more insight previously about Bali itself. In addition, did you know with variety of exploration destinations, has been made the island of gods to become a perfect holiday purposes. 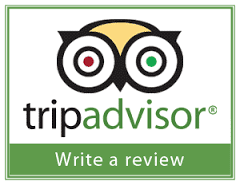 Whether for your solo travel, together with girlfriend, or families outing. "What attractive destinations should be visited when you're in Bali?". Do not be satisfied just stop by the beach of Kuta, Sanur and Nusa Dua only, or maybe shopping at the Mall. Bali is an extensive region and has many "Interesting and Romantic destinations" which you must visit. 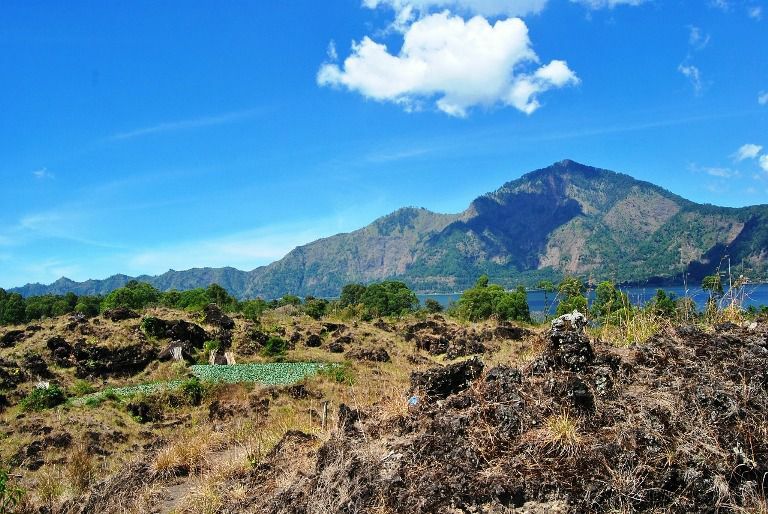 Some time ago Sorga Bali Tours has discussed about the famous "Kintamani volcano full-day tour program", that will make you regret if until you pass it by. And now Sorga Bali Tours will invite you again to visit the most popular tourist place in Bali, to be able to know about the existence of "Kintamani-Bali volcano tourism object". which not just make your Bali holiday more exciting, but also looks beautiful and interesting on your Instagram!. 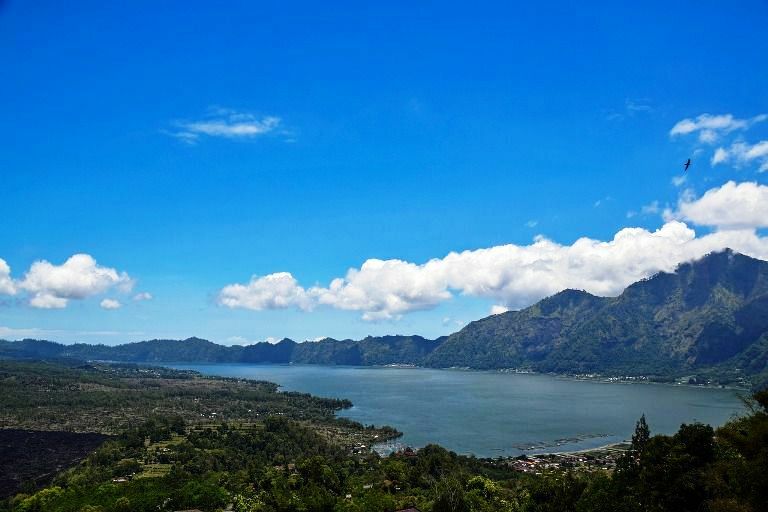 Kintamani Bali volcano lake Batur really an exceptional tourist spot, with its unmatchable charming panoramic able to give you an infinite nuance of love. This is very appropriate from meaning contained in the word of KINTAMANI itself, ie: CINTA (Love) and MANI / MANAH (Mind). In general Kintamani means: "Mind of Love" for you whilst visit this beautiful place. So if you loves traveling to mountains area our recommendation is only one, Kintamani will be the most right reference about the popular mountains region, which has the best tourist places ever. 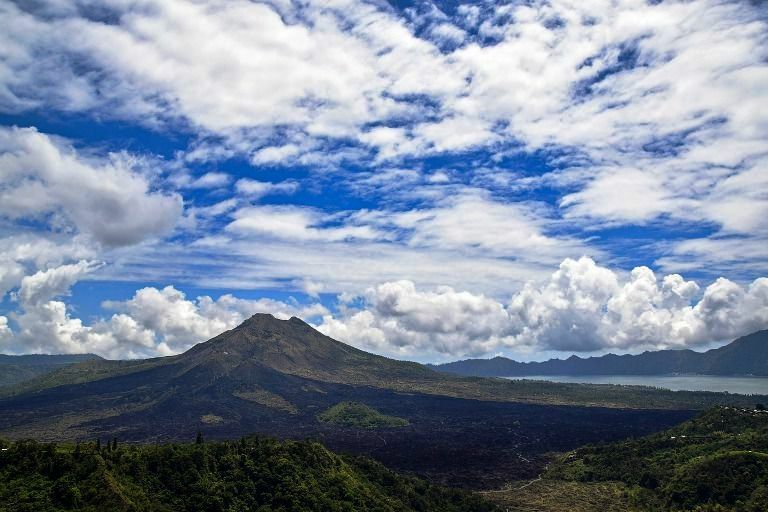 And the enchanting views of an active Mount Batur integrated with the overlay exotic of its beautiful lake, will be capable to attract, anesthetize and satisfy your heartfeelings with its spectacular view of mountain & lake Batur. This is actually indeed a truly bounty that can not be expressed by words. Such of this thing that made Kintamani area became a main target of travel options for many travelers, also capable to attract a large number of tourist visits from entire world, when enjoying Bali holiday tour packages. Because of this beauty stunning panorama, also has made Penelokan region as one of a mainstay tourism area owned by Bangli regency, which located at northeast part from the Island of thousand temples. Glance, if we talk about the existence of Batur Kintamani volcano, of yore is as one of the ancient mountain, which has a height almost equal with Agung volcano which located in Karangasem East Bali. But, because of Batur volcano has erupted 26 times based on records from "Batur geopark museum", finally the late height of volcano as we can see now only 1.717 meters from sea level. with its first eruption began in 1804 and last eruption which occurred in 2000. In addition this area has a relatively cold weather, with temperatures running between around 16 - 18 degrees celsius at night time. Regarding Kintamani tourist attractions area for this moment, indeed to be one of the most top-rated tourism object, and the best favourite recreation spot. In line with number of travelers that come visiting Penelokan village to enjoy holidays, also to know more closely the beauty natural scenery contained at Kintamani tourist destinations. Sekaan, Sekardadi, Selulung, Serai, Siakin, Songan A, Songan B, Subaya, Sukawana, Suter, Terunyan, Ulian. Trunyan ancient village with its unique "Funeral Traditions" which is so different from other Balinese people tradition in general. Crossing boat's terminal to Trunyan village, and along the way to Kedisan village, our eyes will be adorned with the expanse view of onion farm, tomatoes, chillys and various vegetable plants that are found in this region. Selfie point's recreation, which is overlooking views of Mount and Lake Batur. all restaurants here also provides variety types of cuisine menus with a "Buffet" serves, such as: "Indonesian meals", "International cuisine", "Halal food". And all food that served in these restaurants, is in accordance with existing of Health standards. Oranges, all kinds of vegetables, and various type of fruits. as well as from tourism sector. The existence of pets particularly: "Kintamani's Dog" which bred from the mountain area. And this breed has a brave nature, agile, alert and has a high enough sense of suspicious. In addition, these kind of dogs has been developed for a long time, also recognized by the international world. beside also having long hair with white, black or brown colour. 45 centimeters till 55 centimeters (Male) and 40 centimeters to 45 centimeters (Female). while entry fee ticket for vehicles will be charged Rp. 5000 quoted per vehicle. All of the admission fee ticket have to be paid in "Cash local rupiah currency" at the front counter ticket's gate, before entering tourists object. And admittance ticket's counter of kintamani tourist places will be open from 7 AM until 6 PM. or driving by car around 2.5 hours on the smooth asphalted roads condition. because the weather still very nice, also you can see terrific view of Mountain and Lake Batur in face. But if you come to visit Kintamani on late afternoon will be misty, so you can't see the best view of it. please read: "[Kintamani tour price] Cost full day car hire Kintamani Bali volcano tour"
The atmosphere of Kintamani area is easily misty in the afternoon, especially when the rainy season in between October till April. this vista point is cool and refreshing throughout the year with temperatures averaging 22 Degrees at mid-day and 16 Degrees at night time. Finally....that's all the explanation about Kintamani Bali Volcano and Lake Batur tourist area from us.